Manage health and safety on site in accordance with current legal provisions, and within the context of their management role. Develop an understanding of responsibilities and accountability for site health, safety and welfare. The five-day course is designed for site managers, agents and persons who are, or are about to be, responsible for planning, organising, monitoring, controlling and administering groups of staff within a construction environment. The course covers all relevant legislation and other aspects which affect safe working in the building, construction and civil engineering industries. It highlights the need for risk assessment in the workplace, the implementation of the necessary control measures and adequate communication to sustain a health and safety culture among the workforce. No formal qualifications or experience are necessary. 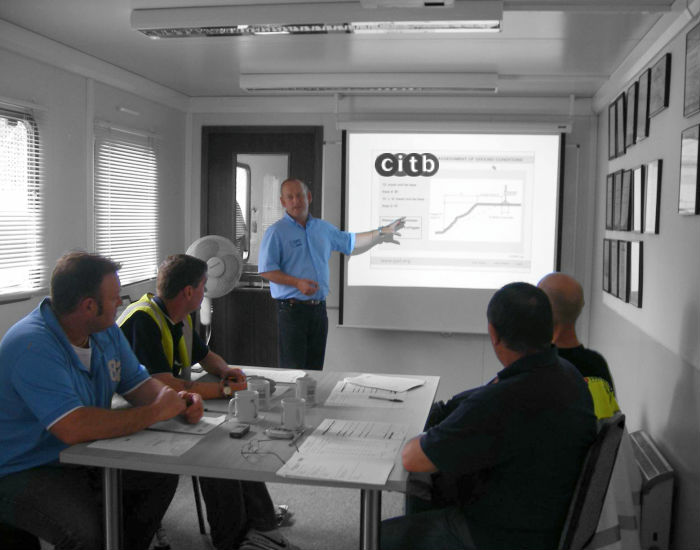 Candidates should ensure that they attend the Site Safety Plus course most relevant to their job role (i.e. Supervisor or Managers). Literacy, language comprehension and numeracy are important requirements on all courses. Any physical impairment or literacy issues should be discussed with LTC Training Services Ltd prior to making a booking so we can best accommodate your needs.